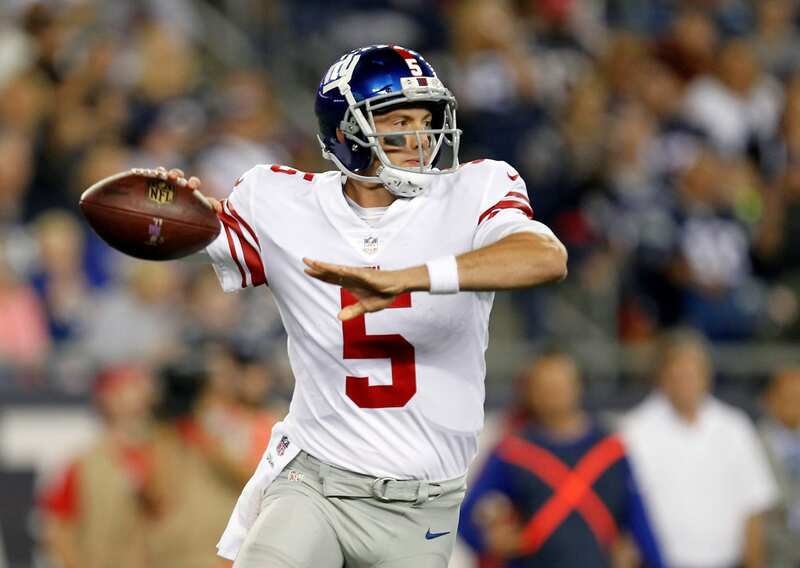 The New York Giants may want to re-consider their draft plans after seeing Davis Webb’s new workout videos; especially if they were planning on taking a quarterback. The consensus that the Giants are looking at UCLA quarterback Josh Rosen with their No. 2 overall pick has been apparent within the media and fan-base, but we must consider that Eli Manning’s successor might already be on the team. Webb drew rave reviews from teammates and staff within the organization, which bodes well for his stock as we head towards the draft. With another guaranteed season under Manning, we can assume he will only continue to grow and progress into a potential future quarterback. On the second video, Webb rolled out to his right on a play-action pass, showing extreme precision and placement with tight end Evan Engram. There’s no doubt that Webb is showing his work-ethic on the offseason and what he’s willing to do to become the Giants’ future quarterback. In addition to his work-ethic, he’s building chemistry with current starters on the offense and saying all the right things to management. As long as the Cal product continues to show his discpline and loyalty to the franchise, there’s no doubt that he will receive is fair share of the opportunities moving forward. And if the Giants decide to pass on a quarterback in the upcoming draft, that would be a major indication of how the current regime feels about Webb.